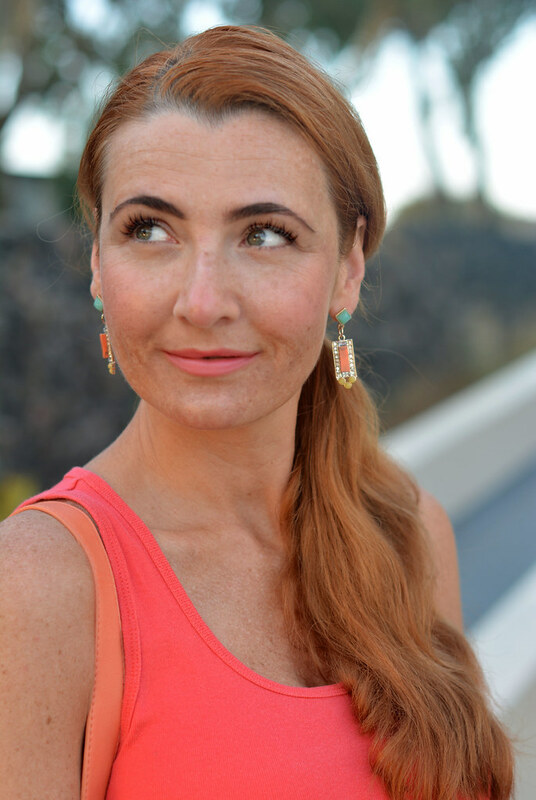 Here it is, folks: My final Santorini outfit post! 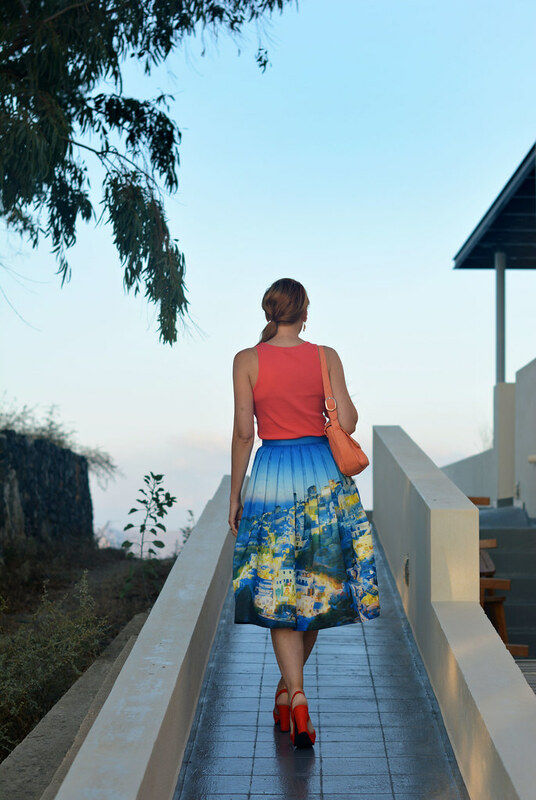 I thought it only fitting that I finished with the Chicwish Santorini print midi skirt that I’d been waiting all year to wear (I bought it soon after booking our holiday). As you’ll see from the photos below, the print is of the famous skyline at Oia which we photographed on a separate day at sunset – as a contrast these pictures were also taken during the golden hour, but this was our first ever photo shoot in the golden hour after sunrise. So yes, we got up just before 7am and hoped for a clear sky and some beautiful sunlight seeping through, and that’s exactly what we got. The light was warm and glowing and so very flattering, but boy does it get bright quickly (and, therefore, less flattering). Take my advice: If you ever shoot at this time of day – move fast! What you might notice, however (especially if you’re familiar with the view at Oia), is that the print on the front of the skirt has been reversed, but if course that’s not something you know till you get there and see the view for yourself. BUT at the time I had no clue that it was the right way round on the back – who studies the back of a skirt?! – and it was only something I noticed when editing the photos. 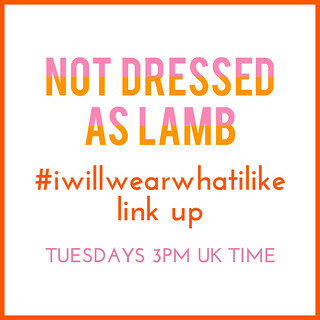 So I could have worn it backwards and had the print round the right way, at least… Lesson learnt! THE PRINT ON THE FRONT OF THE SKIRT HAS BEEN REVERSED. BUT AT THE TIME I HAD NO CLUE THAT IT WAS THE RIGHT WAY ROUND ON THE BACK – WHO STUDIES THE BACK OF A SKIRT?! – IT WAS ONLY SOMETHING I NOTICED WHEN EDITING THE PHOTOS. Anyway I just wanted to thank everyone who’s left such lovely comments about all my holiday pictures, and if you’re severely sick of them then my apologies! I did say in earlier posts that we hadn’t been on a hot summer holiday by the pool for 12 years, so I was going to make the most of it. 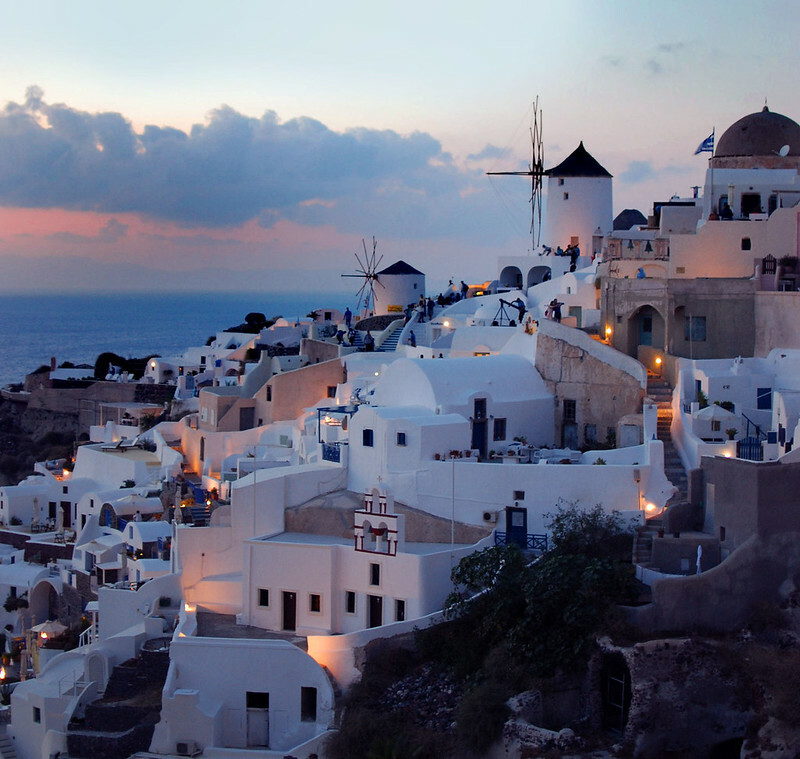 And as I’ve said before, if you’re even vaguely considering going to Santorini, book it now. There is nothing bad to say about the place: It’s absolutely magical. Do you have any pieces of clothing that have been made slightly wrong (incorrect spelling, upside down patterns, etc.) 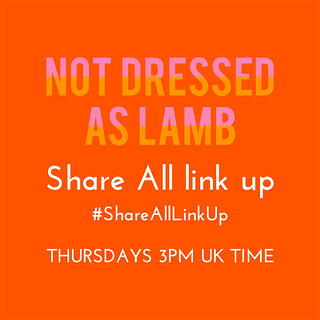 – do share in the comments or tweet me @notlamb if it’s easier! Cute Outfit! I love that you paired the skirt with orange. It really brings out the yellow in the skirt without being super matchy. Oh the skirt had arrived at its destination. Looks fabulous. How lovely to combine it with orange. You win the price. 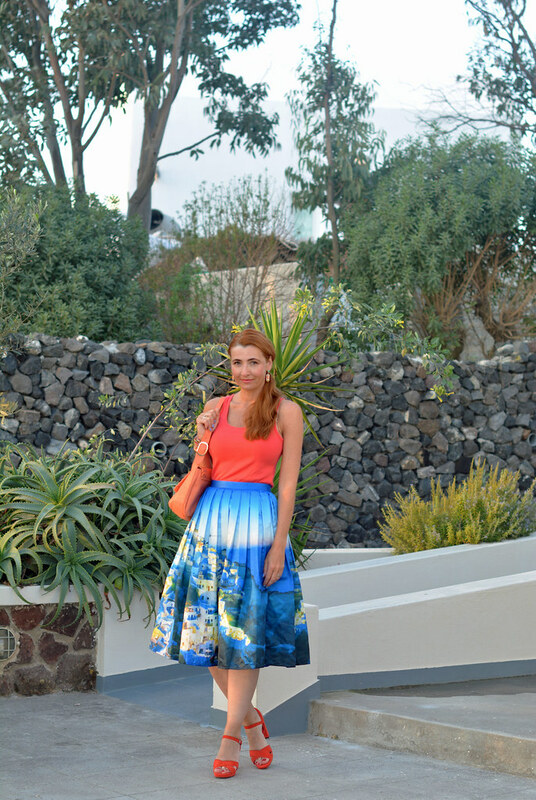 Loved seeing your Santorini skirt in Santorinin. What a cool idea! so glad you shared it…. Also glad to discover the Chicwish site. If I had seen that skirt on a hanger, I'd have thought it would make anyone look huge… Not so! Between your pics and all the pics of customers posted on the site, I'm really impressed by how flattering this silhouette is. Thanks for sharing! As the nights start to draw in, it's been lovely seeing your photos from Santorini. I think we've all been living vicariously through them and feels as if summer has been stretched out a little longer. I've seen this skirt on a couple of other bloggers and always liked it and of course, it looks superb on you. The coral touches are beautiful with it. 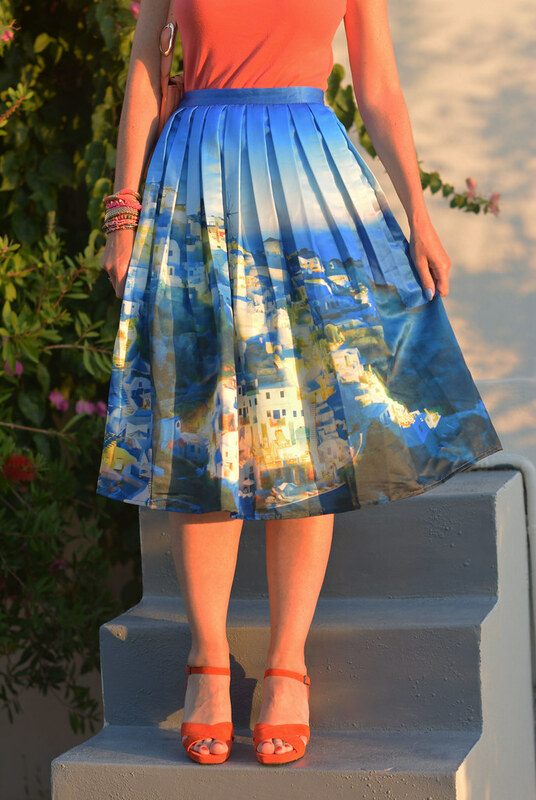 I love the photo of Santorini followed by your skirt! Could this shoot be any more perfect!? Honestly Catherine! I love how you paired the printed skirt with those clean platform sandals — my 90's-loving heart couldn't be happier! 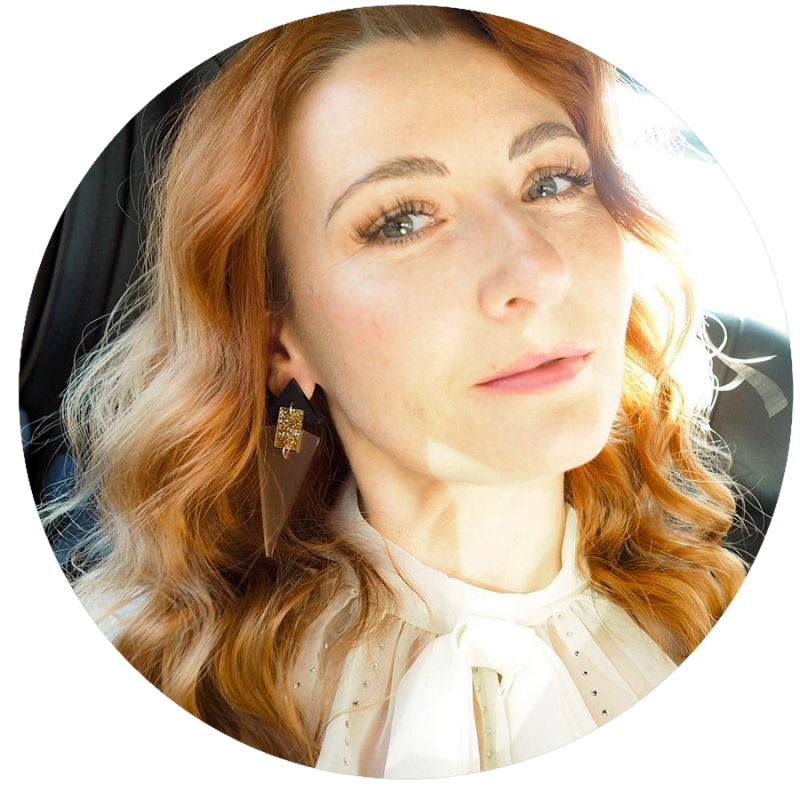 Hehe thanks Ashley – I've not thought about the block heels being so 90s, but yes I guess they are – they're my absolute favourite summer shoe right now!! The light is something else, isn't it Patti?! Thanks honey!! How beautiful is that skirt?! I bet you found it hard to wait so long to wear it. So much fun to wear this skirt where the image was taken. I also love the peach you chose to pair this with. 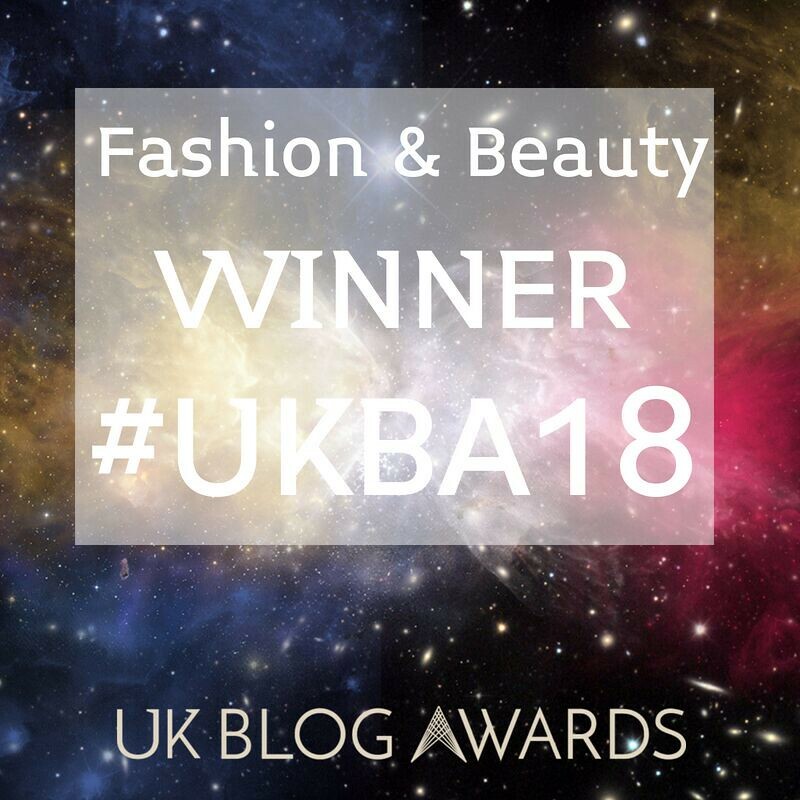 Thank you Suzanne – to be honest I'm obsessed with everything peach, coral and lilac at the moment so it's no great surprise…! Catherine, you were built for the pleated full skirt and tucked in top look…simply stunning! 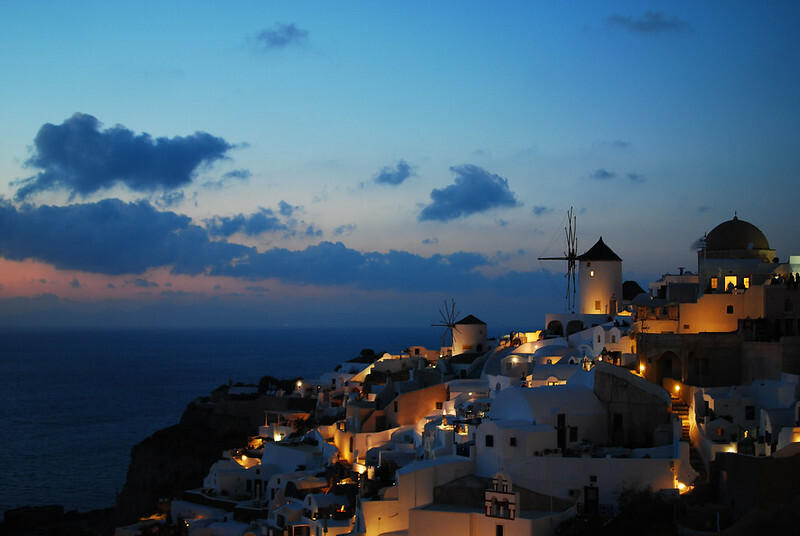 I will miss the beautiful light from your Santorini photographs. Dawn has a completely different feel…a fresher feel to the light. does that make sense. Anyway, I look forward to your Autumnal posts….and next year's holiday! Aww Samantha you're a sweetheart as always – yes the weather has been atrocious… We had about an hour of sunshine this afternoon, then back to grey skies and pouring rain tomorrow I think! Could you tell me why and how you do the shop the look? Such a gorgeous skirt! I love Chicwish! Catherine, I for one, am very sad that this is the end of your Santorini snaps. I think at this time of year especially, we can all do with some golden bathed photos of you swishing about on your hols. I'm therefore championing the odd holiday outfit to crop up for the duration of the winter – I think you owe it to your loyal followers! We're all going to be wrapped up in thick tights and jumpers for the next few months and what a highlight it would be for us to see some more of your beautiful island moments. I adore this skirt and never having been there wouldn't have been any wiser about the skyline. 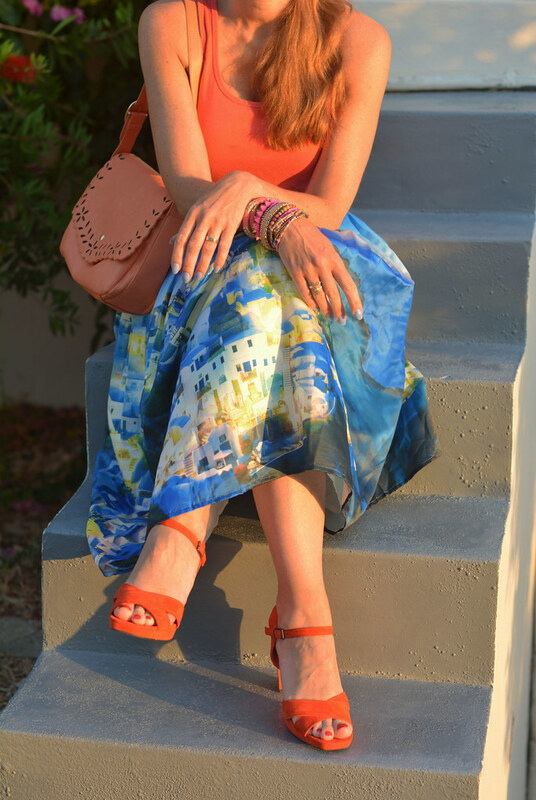 The coral is perfect for showing off your tan and offsetting the skirt too. Lovely, lovely post, thank you! Beautiful look, the skirt is cute.